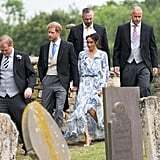 On Saturday, Meghan Markle dressed to the nines to attend Princess Diana's niece's wedding in Rochford, England. 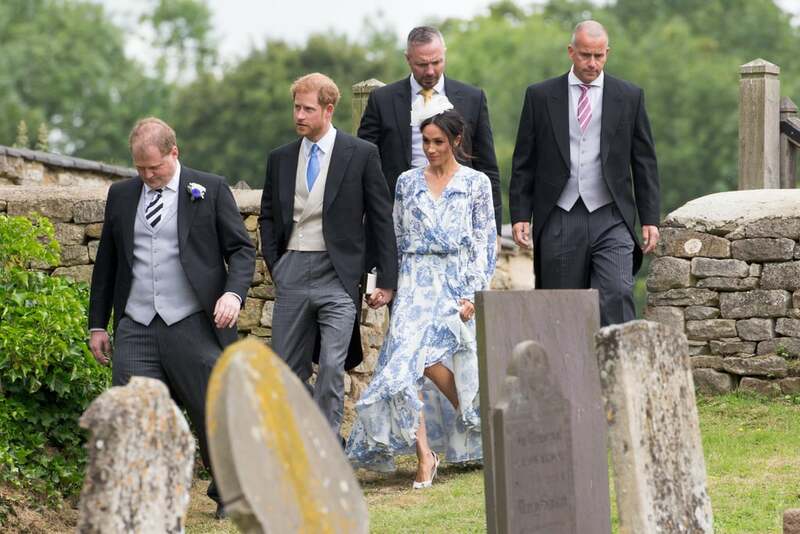 For the occasion, the Duchess of Sussex stunned everybody in an exquisite Oscar de la Renta wrap dress, complete with a blue-and-white print that perfectly matched her husband's chic outfit. 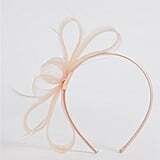 However, it was one of her accessories that quickly became the center of attention. 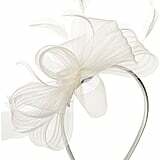 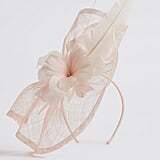 As she was attending a British society wedding, Meghan had to comply with a strict dress code by wearing a fascinator and chose a pretty $49 option from Marks & Spencer. 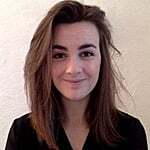 While this affordable choice might have surprised a few people, it actually wasn't the first time that the duchess was spotted wearing a piece from the high street retailer — back in January, she wore a simple black sweater from the same brand, which sold out almost instantly. 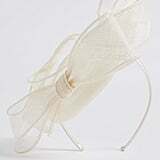 Read on to get a closer look at her wedding guest outfit, and then shop the same hat, as well as similar options.